The maid who saved Christmas Chambermaid Grace Ellis loves Christmas, but after losing her beloved grandmother, she'll be spending this festive season working. So when her boss, Finlay 'Scrooge' Armstrong offers her a magical Christmas in Scotland, it's a welcome distraction from her grief. 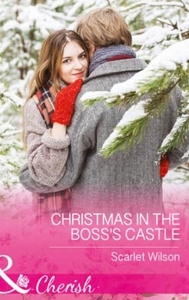 Widower Finlay is haunted by the ghosts of Christmas past, but snowbound together in his Scottish castle, Grace starts to melt the ice around his heart. He never thought he'd find love again, but maybe finding Grace is his very own Christmas miracle...! Maids Under the Mistletoe Promoted: from maids to Christmas brides!